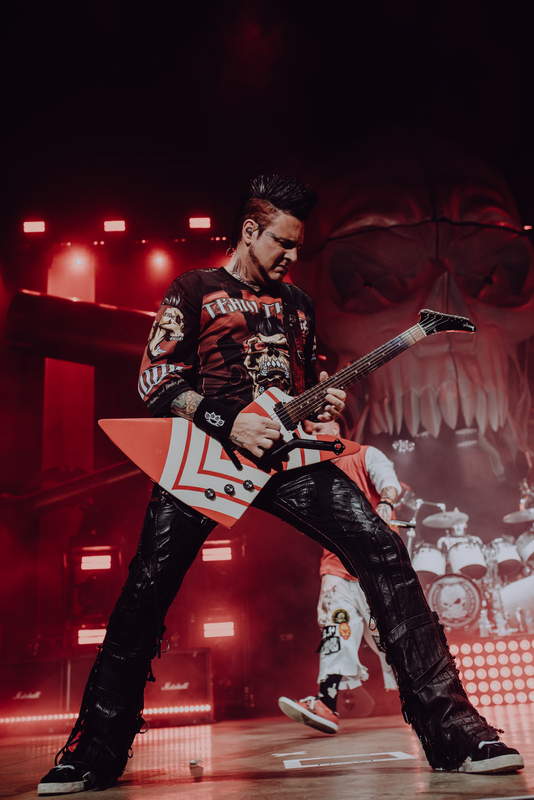 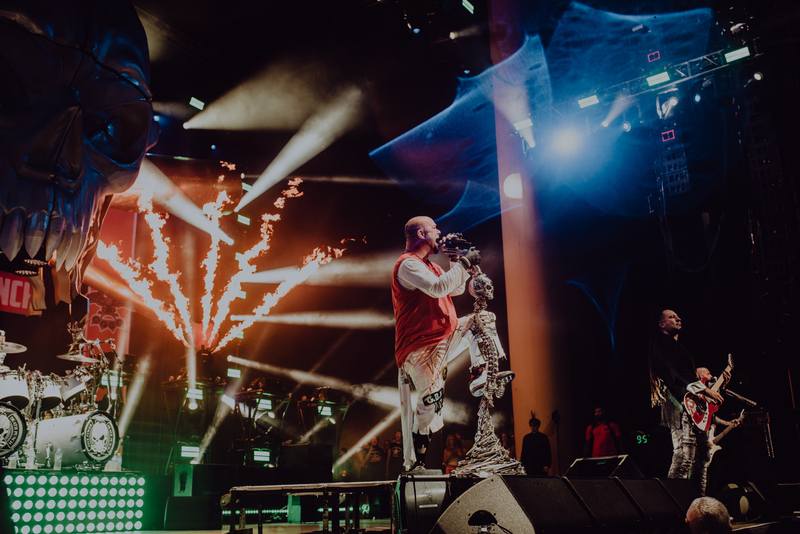 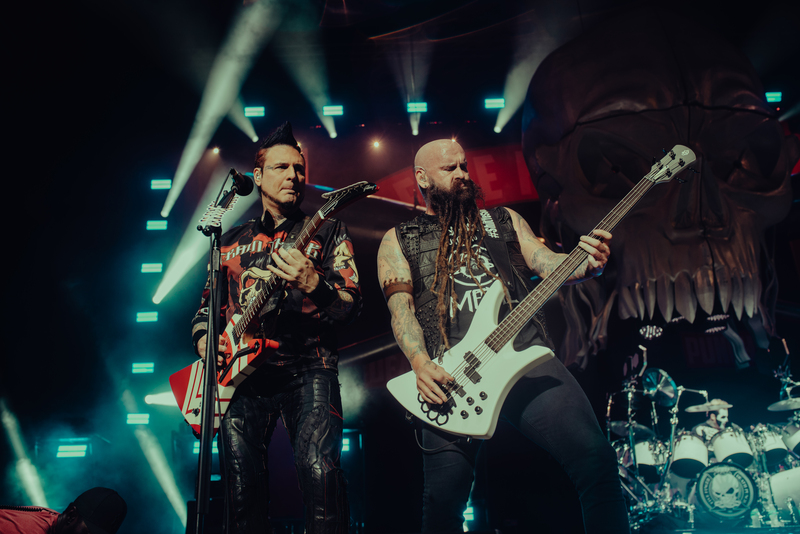 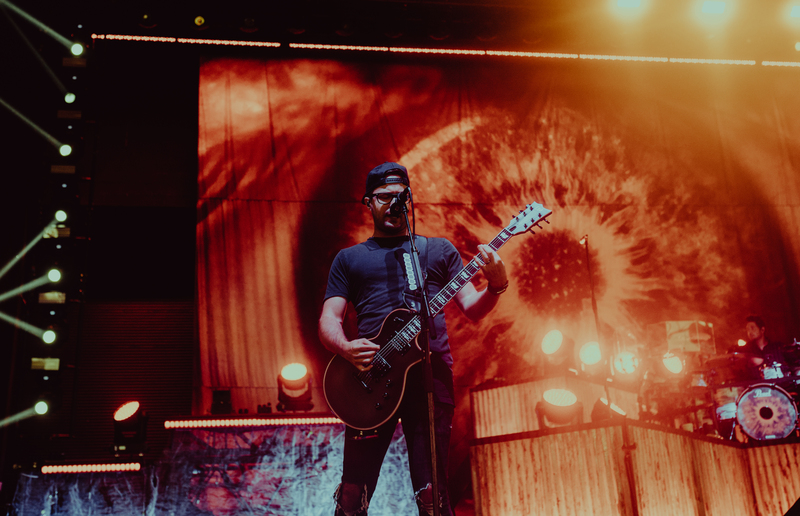 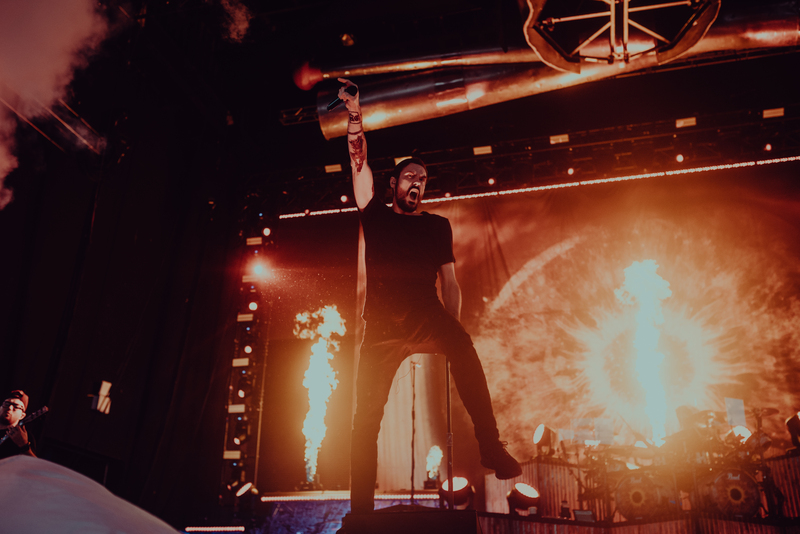 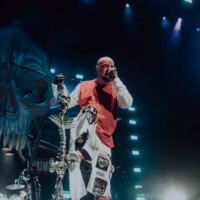 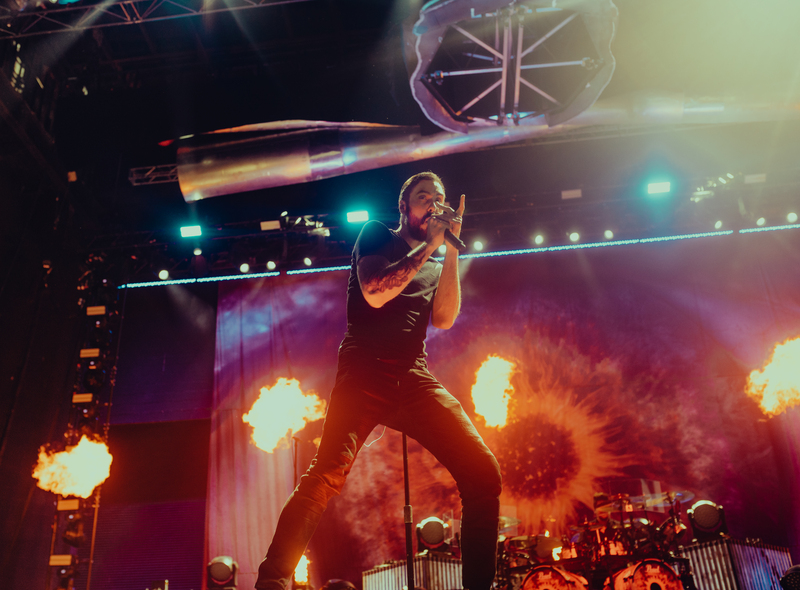 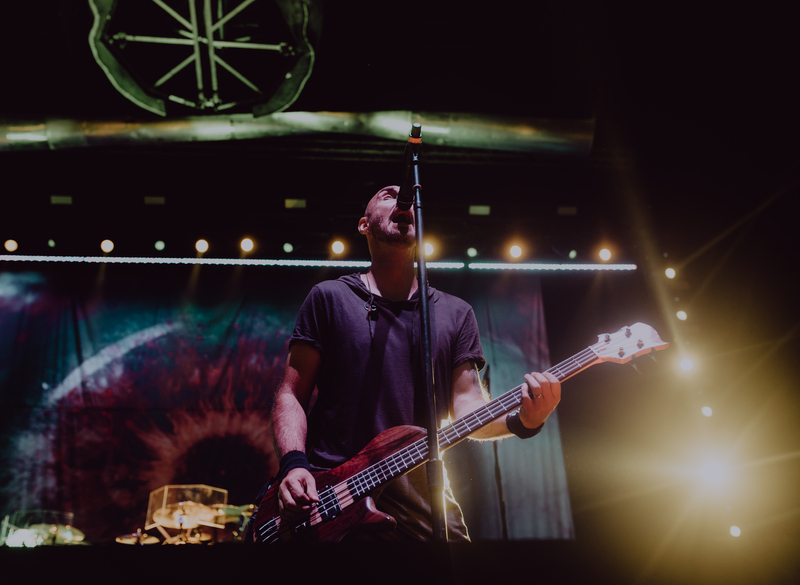 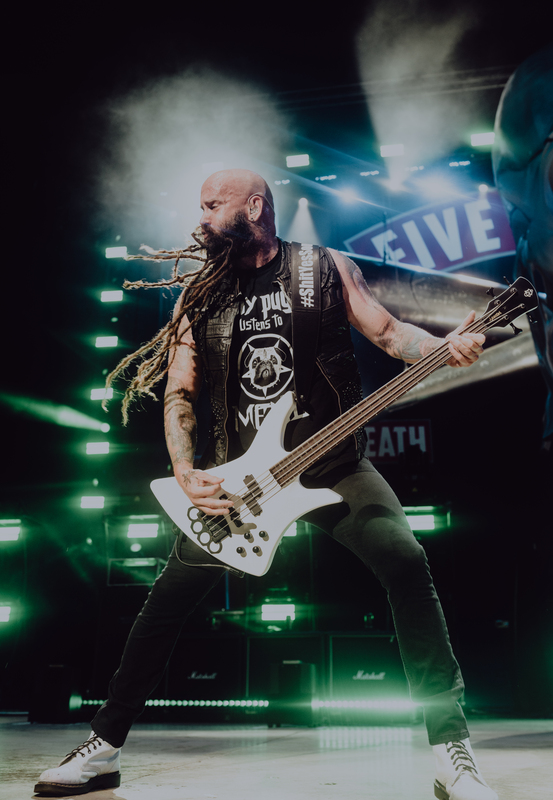 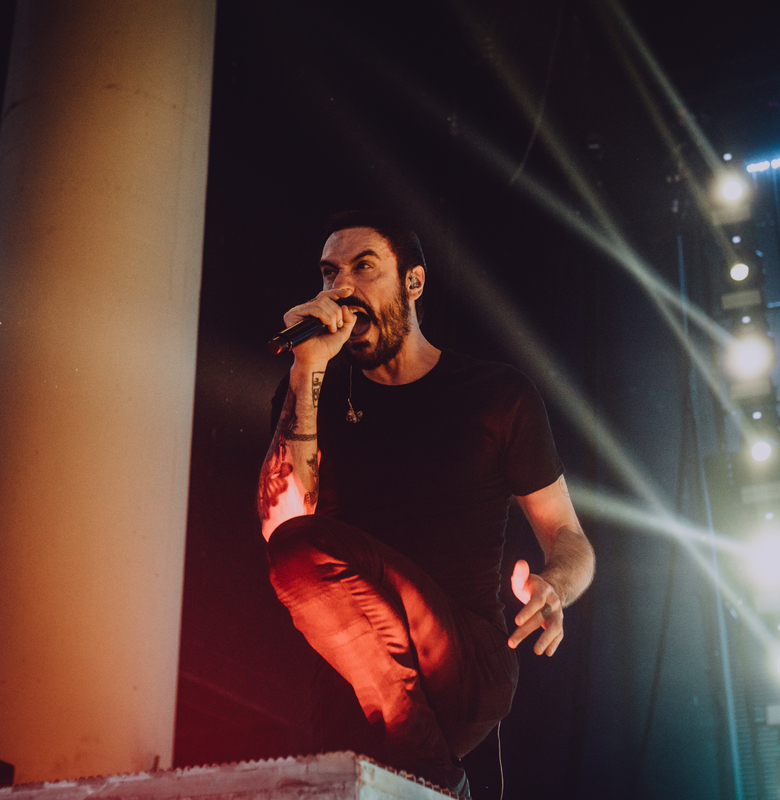 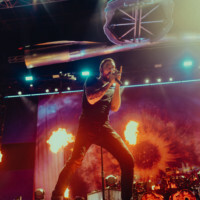 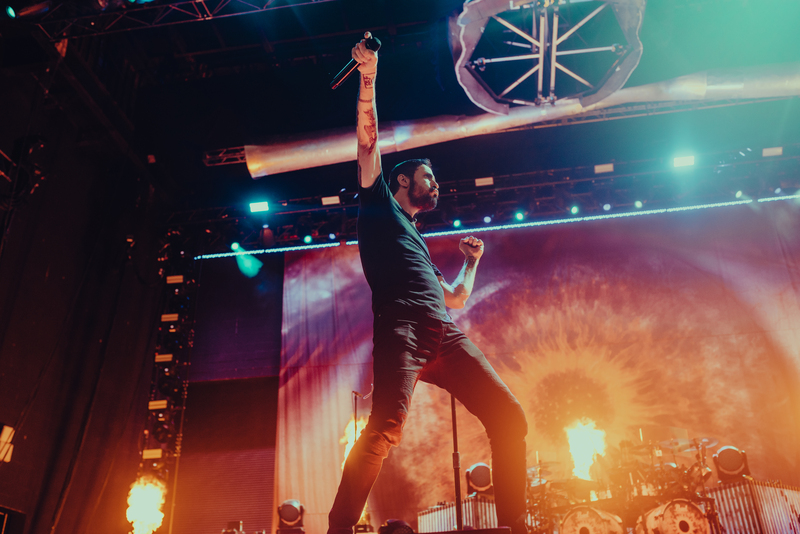 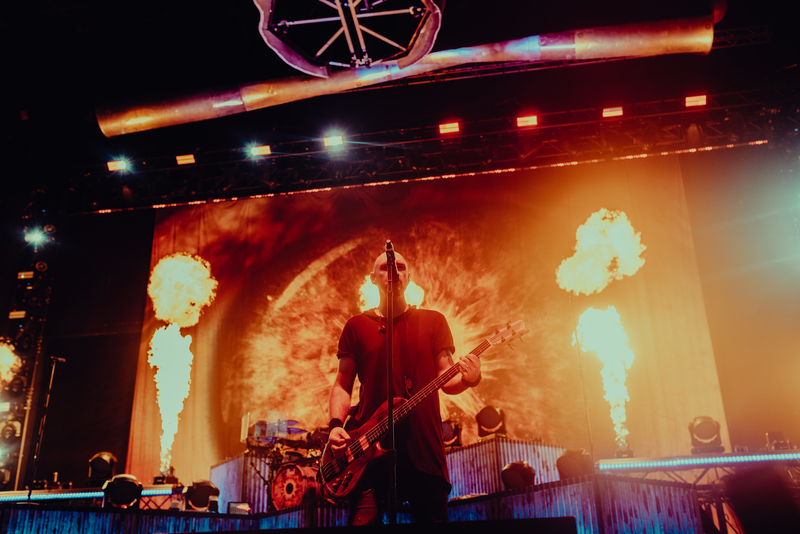 Heavy metal invaded Noblesville, Indiana on Friday August 31st, as Breaking Benjamin and Five Finger Death Punch brought the second half of their co-headlining tour through Ruoff Home Mortgage Center. 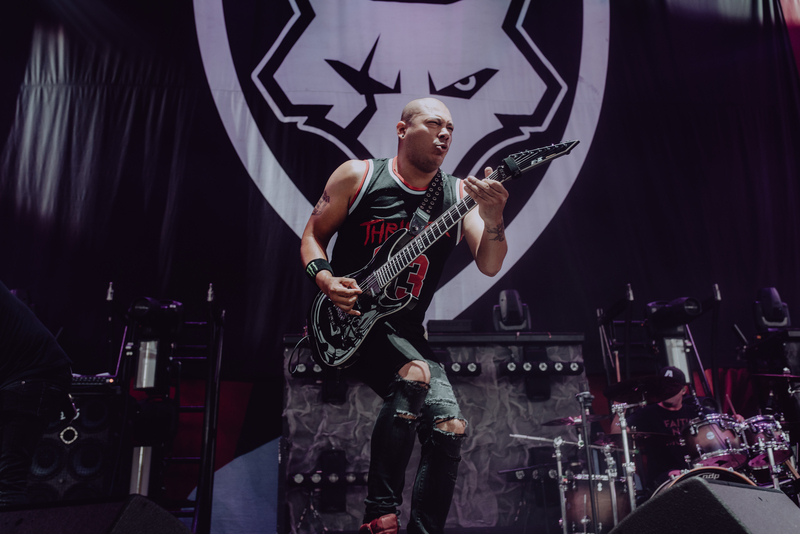 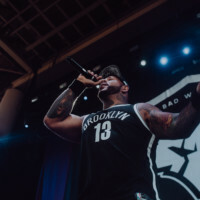 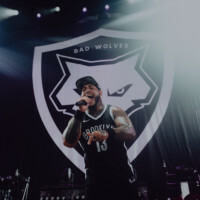 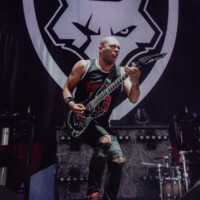 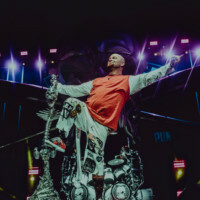 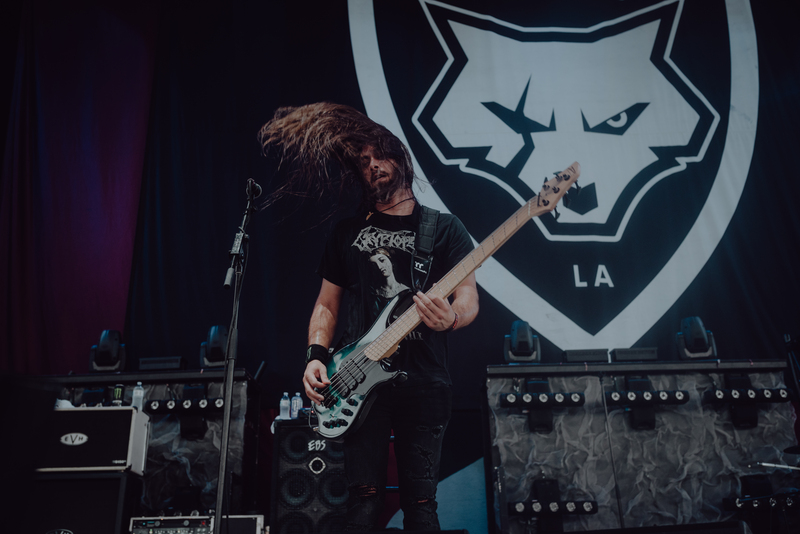 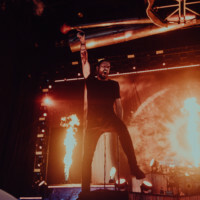 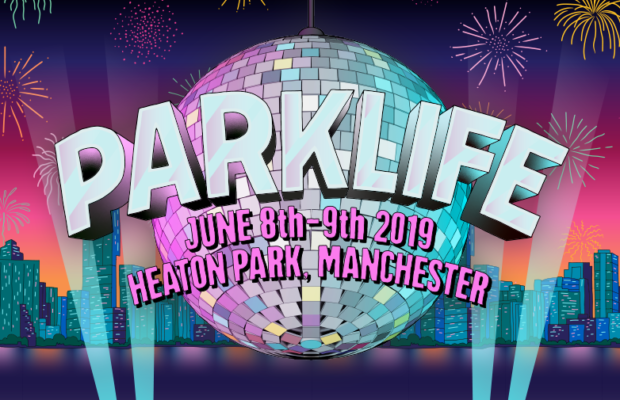 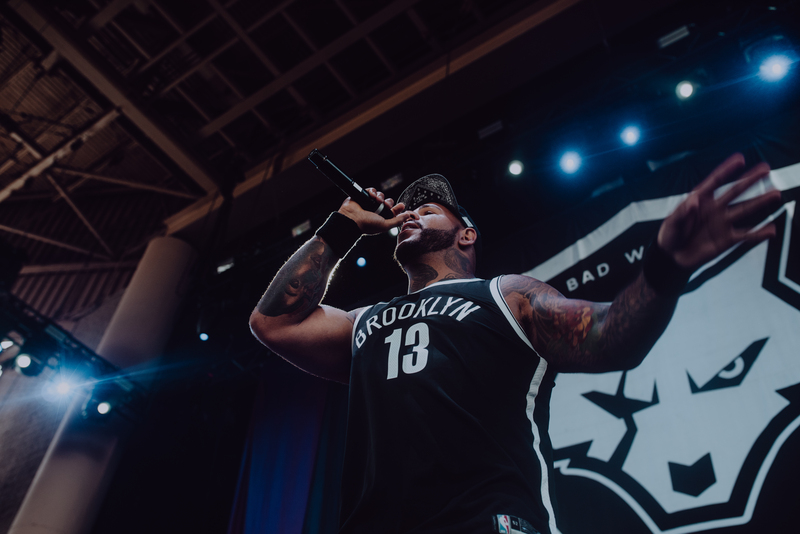 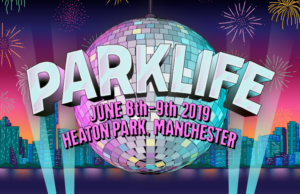 Along with the opening break out bands Bad Wolves and Nothing more, the entire tour package banged out electrifying performances to an almost 20,000 person crowd. 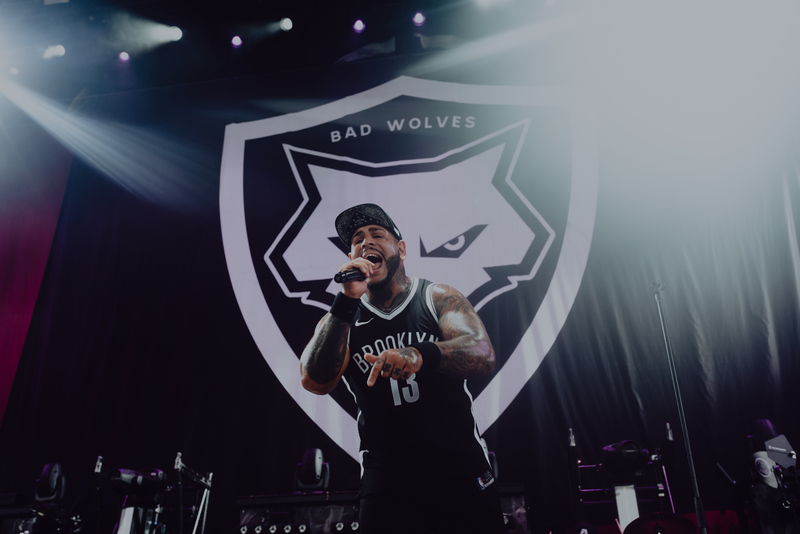 Starting off the evening was Bad Wolves. 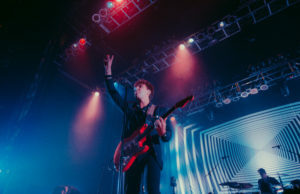 Having already received success off their cover of “Zombies” by The Cranberries, the Los Angeles based band proved to be a great start for the evening. 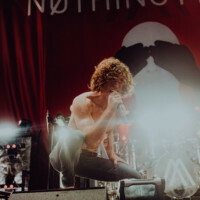 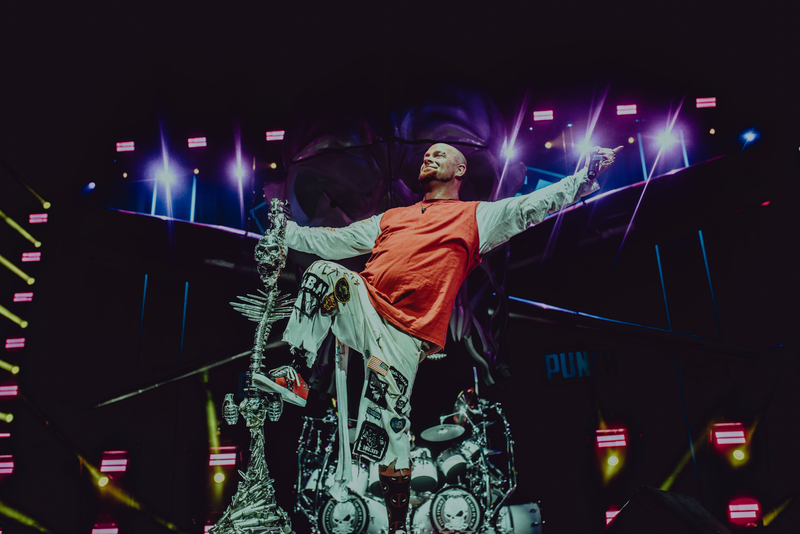 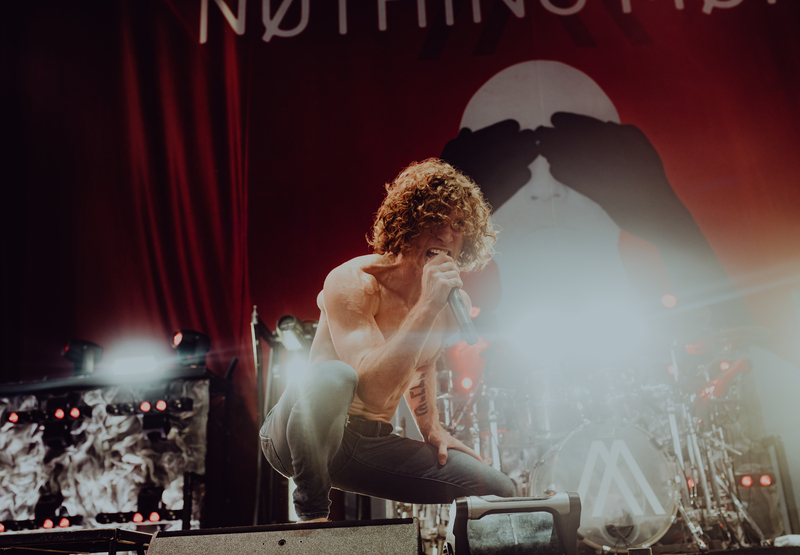 Progressive metal act Nothing More took over next, with barefoot singer Johnny Hawkins commanding the stage with his dance moves, as well as performing while riding a 14ft contraption called the Scorpion Tail. 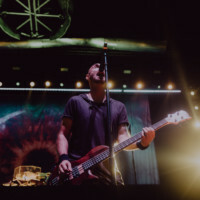 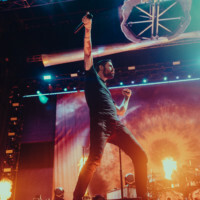 Breaking Benjamin played third, with singer Benjamin Burnley burning through such classics as “I Will Not Bow” and “Breath”, as well as newer hits “Red River Cold” and “Psycho”. 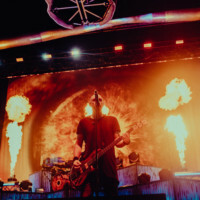 Also included was their medley of songs which starts off with “The Imperial March”, works its way into “Smells Like Teen Spirit”, and finishes off with “Sad But True”. 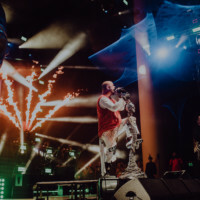 They concluded their set by bringing a couple of fans on stage while they performed “Diary Of Jane”. 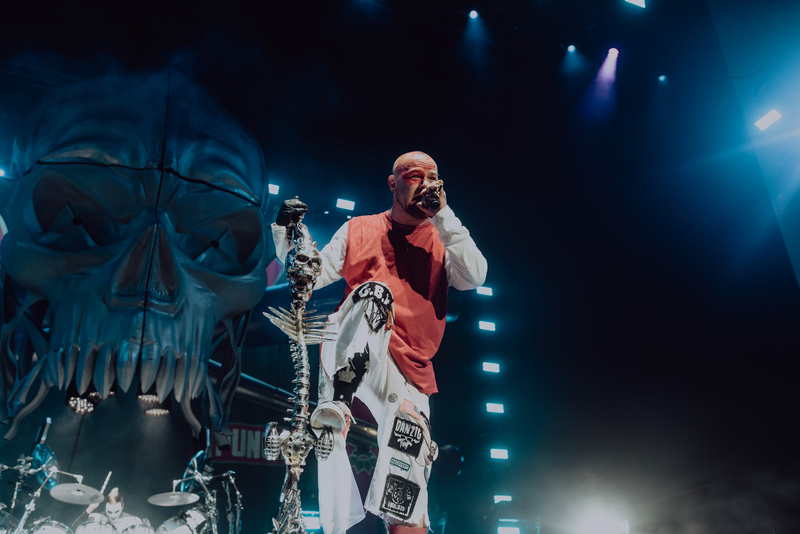 Five Finger Finger Death Punch headlined the evening, with Tommy Vext (Bad Wolves) opening up the first song of their set (Lift Me Up), and Ivan Moody appearing on stage halfway through the song. 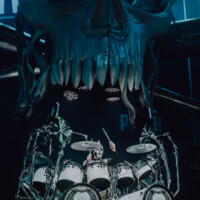 Ivan’s enthusiasm and energy on stage made for a great set. 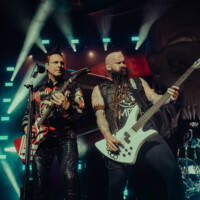 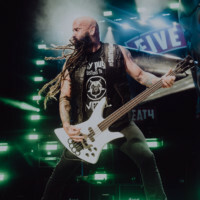 Bass player Chris Kael, and guitarist Zoltan Bathory shredded their way through the set, with drummer Jeremy Spencer sitting underneath a massive skull. 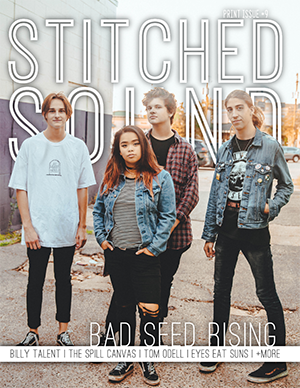 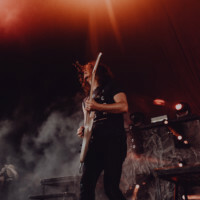 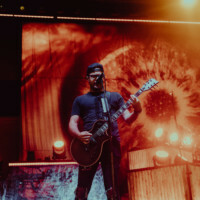 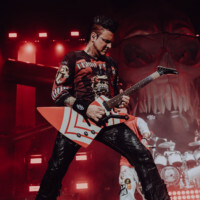 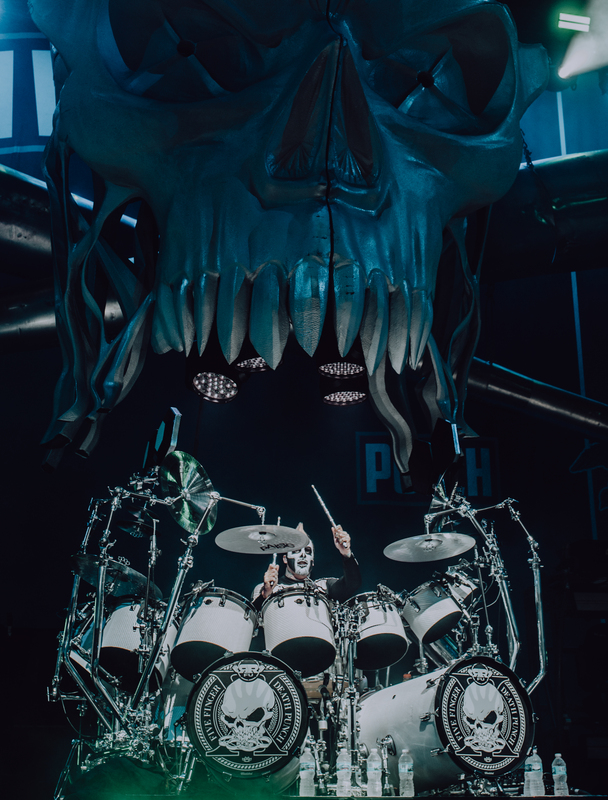 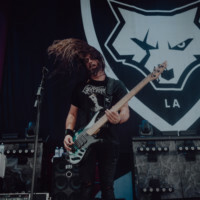 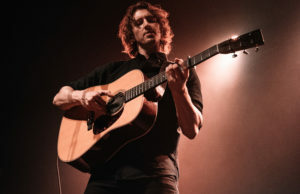 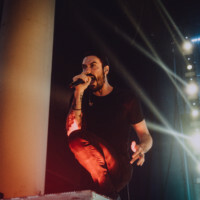 The band played through old and new songs such as “Trouble” and “Jekyll and Hyde”, as well as showing their softer side with acoustic renditions of “Wrong Side of Heaven” and “Remember Everything”. 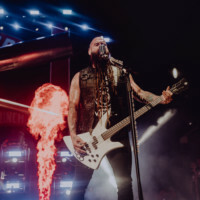 The Las Vegas based heavy metal band also showed their punk side with a cover of “Gone Away” by The Offispring which was the highlight of their set. 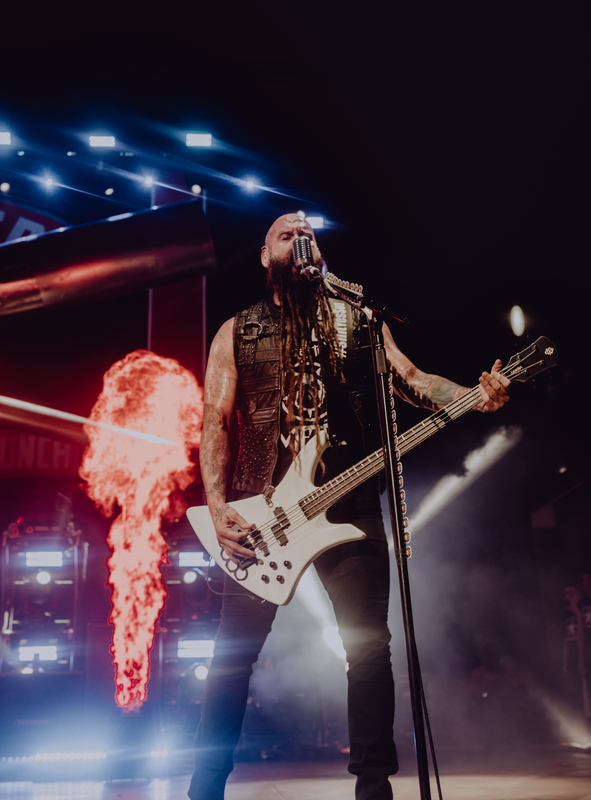 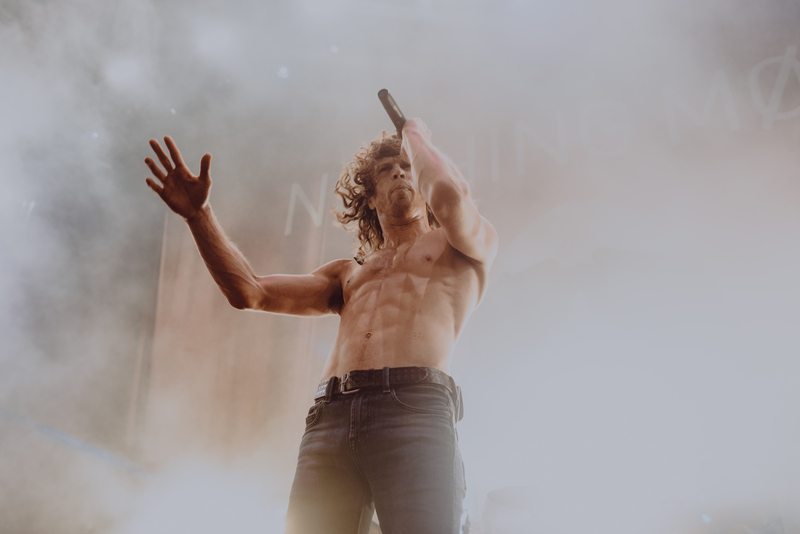 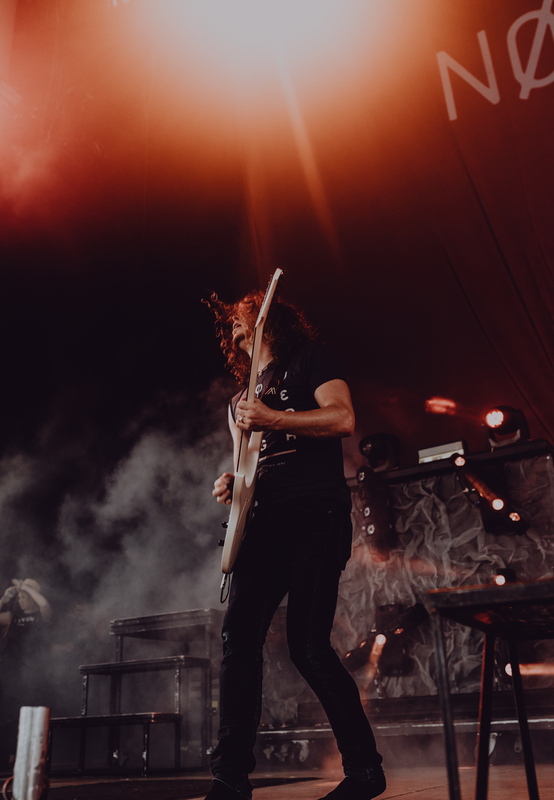 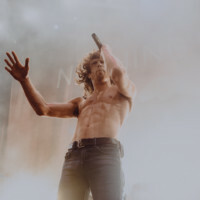 From the pyrotechnics, to the riffs and breakdowns, these bands brought a heavy metal rage fest to Noblesville, Indiana; and hopefully, in turn, inspired a new generation of musicians by proving that rock isn’t dead.